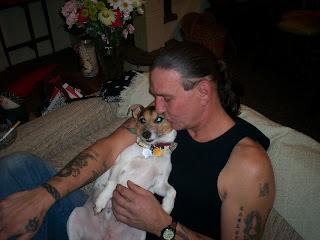 Scaredy Kat & Her Own Crow: Faith, Family, Furbabies & Friends! 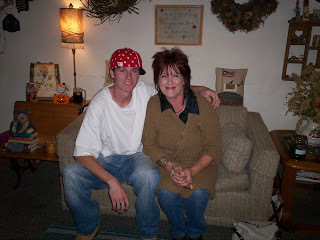 Thanks Peanut, that thars me and my boy...Jordan...hes my youngest... hes 24 and my baby...all 6ft 51/2 inches of him. Unfortunatley Im unable to show off my oldest son, hes a Police Officer (yup, from my loins a copper!) and its best I honor his anonyminity. but he shore is another cutie pie....Im one of those nightmare Mothers who bores folks with my brag books. and bAARRAG I do! tee hee.